You'll be laughing all the way to the fridge with this fully sculpted bottle opener of the Joker himself! 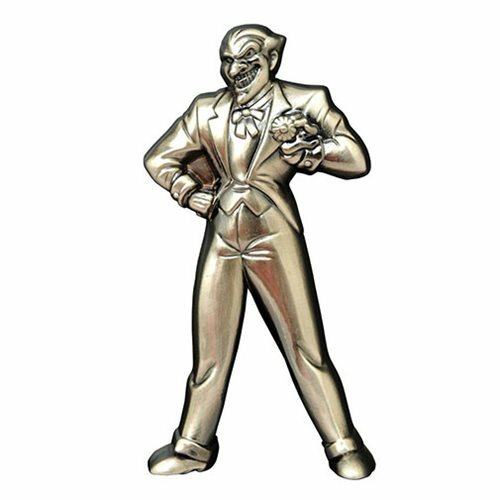 Based on his appearance in Batman The Animated Series, this solid metal rendition of the Clown Prince of Crime measures approximately 4 1/2 inches tall, and removes bottle caps with the greatest of ease. Plus, magnets on the back keep him stuck to your Bat-fridge so you can nab him whenever you want! Packaged in a full-color slipcase. Ages 13 and up.